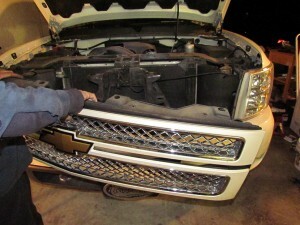 How to install HID headlights on your vehicle. 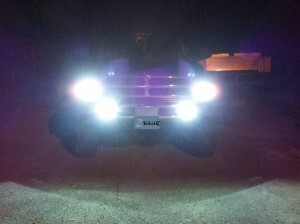 So you would like to get yourself some of those beautiful, safer, and more economical, did I already mention beautiful, HID headlights for your car or truck. However, when you look at the pictures of the HID conversion kit it’s kind of intimidating. 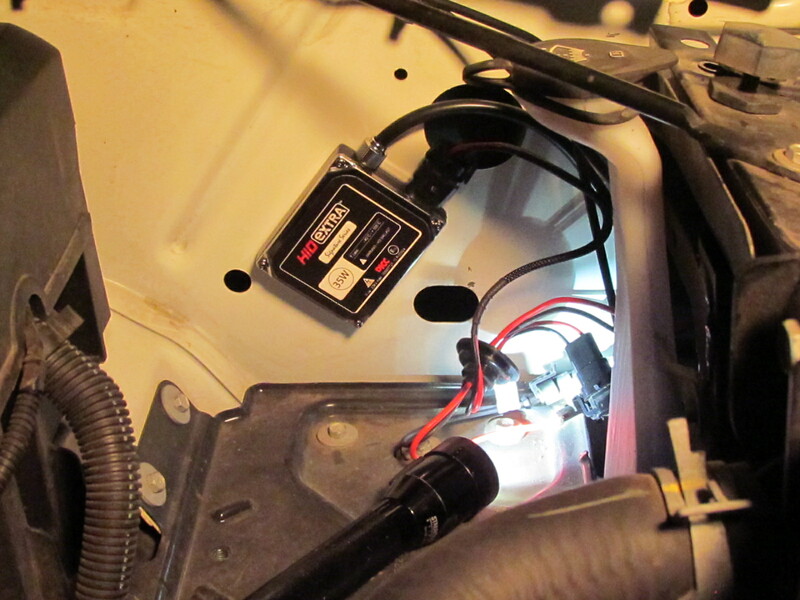 I totally understand, the two boxy things and all the different wires and plugs, zip strips…what? 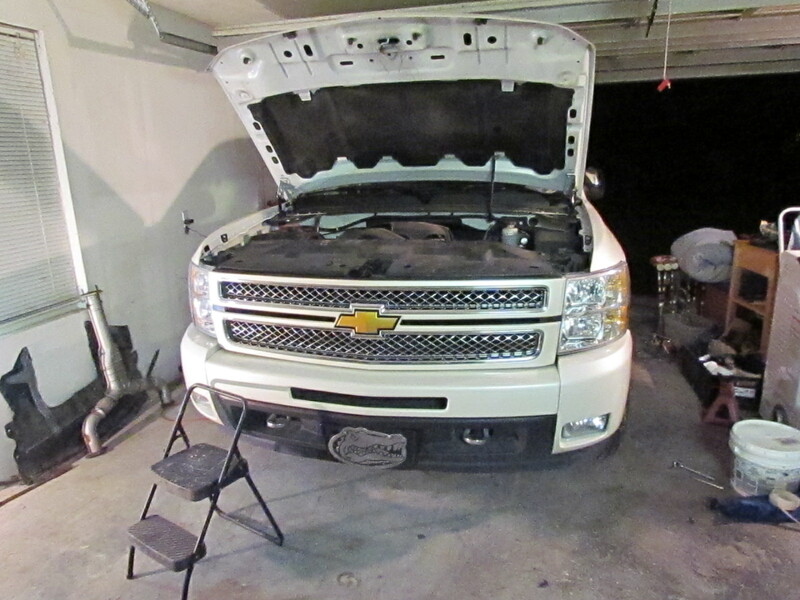 My brother and I decided to purchase an HID conversion kit for my Dad’s 2012 Chevrolet truck. 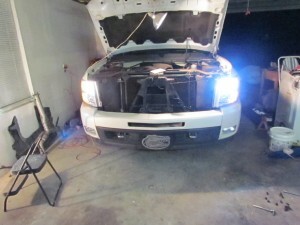 We thought if we’re going to recommend a product, we should try it and test it and actually make an article on “how to install HID headlights” so we did. 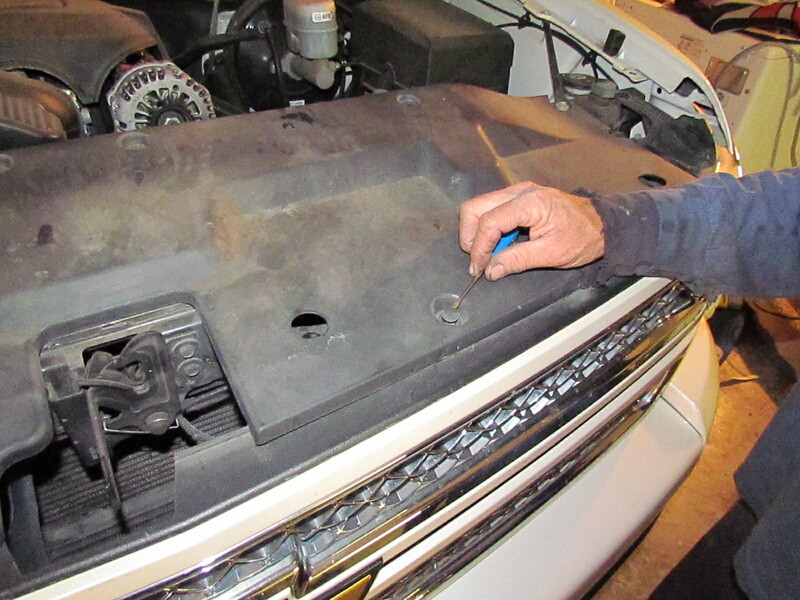 In this article we are going to cover what came in the HID conversion kit, what tools we used and how much time it took to install HID headlights on my dad’s truck. 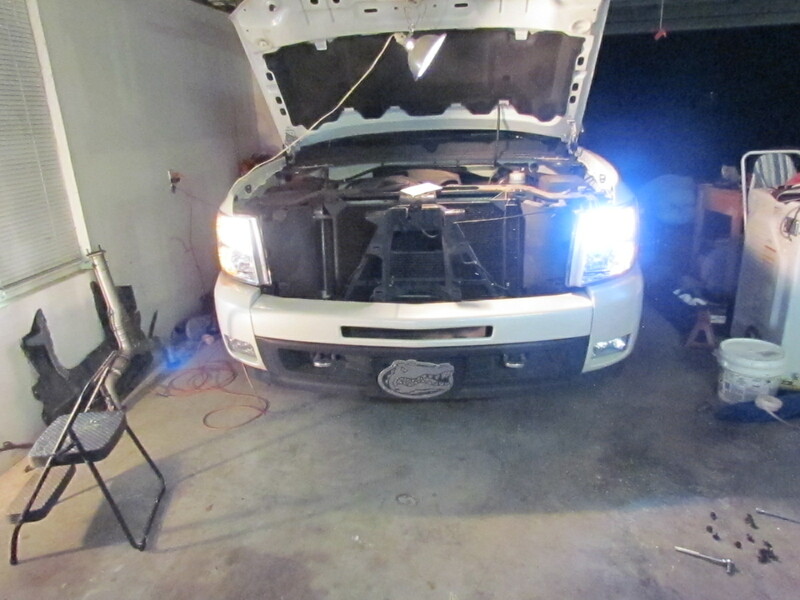 We’re going to have lots of pictures so you can see for yourself what we did while installing the HID headlights. 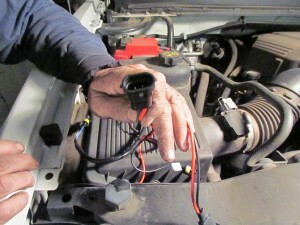 Understand in advance every vehicle is different in how to access the headlights and honestly that’s the hardest part. 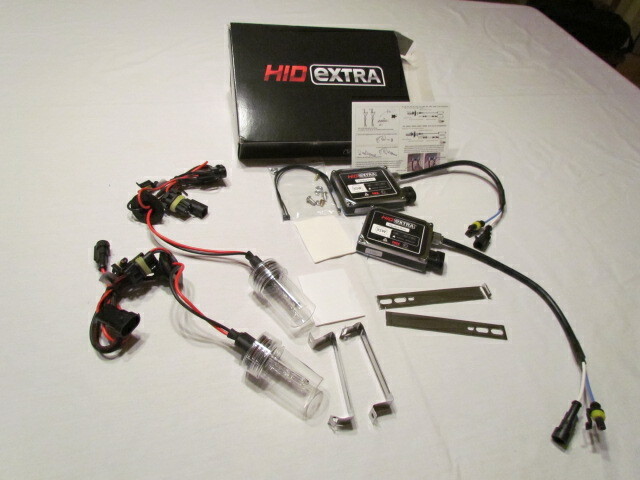 The HID kit that we purchased from HIDeXtra.com is really plug and play…getting to the plug is actually the work. In pictures #1 and #2, this is the HID kit and receipt that came in the mail. 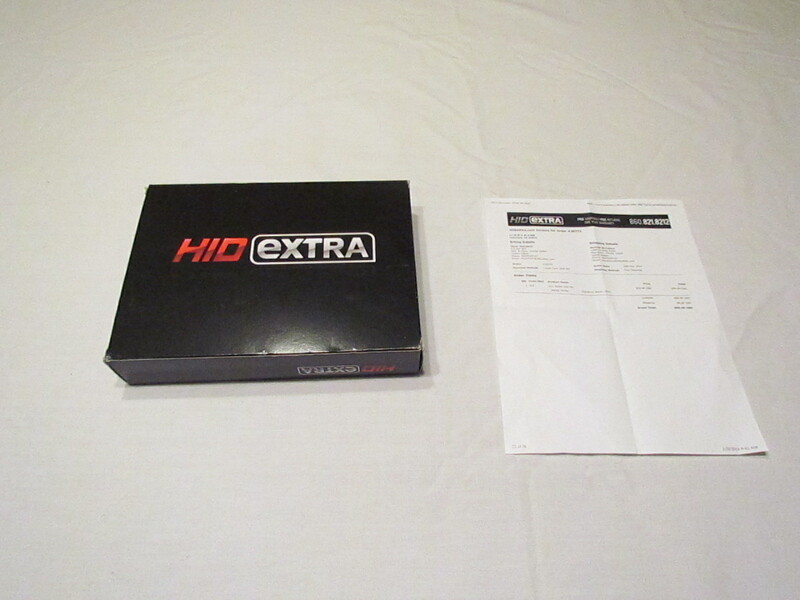 It actually came in one day and they shipped it for free. 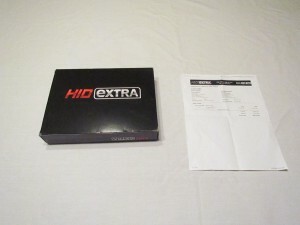 We had an address issue and customer service was actually great. 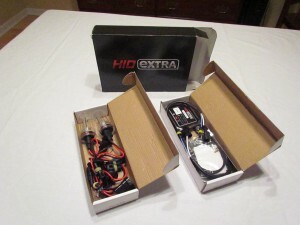 Pictures #3 and #4 are what was in the whole kit and besides a couple tools and a little time and muscle, it comes with everything needed to instal HID headlights on your vehicle. 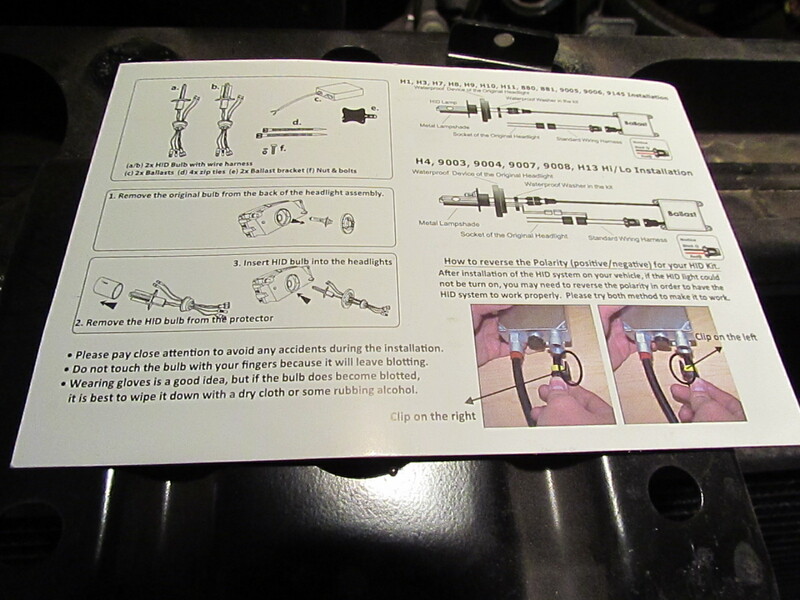 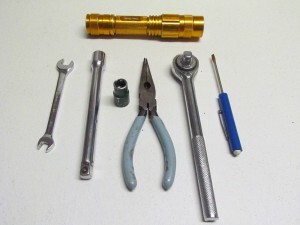 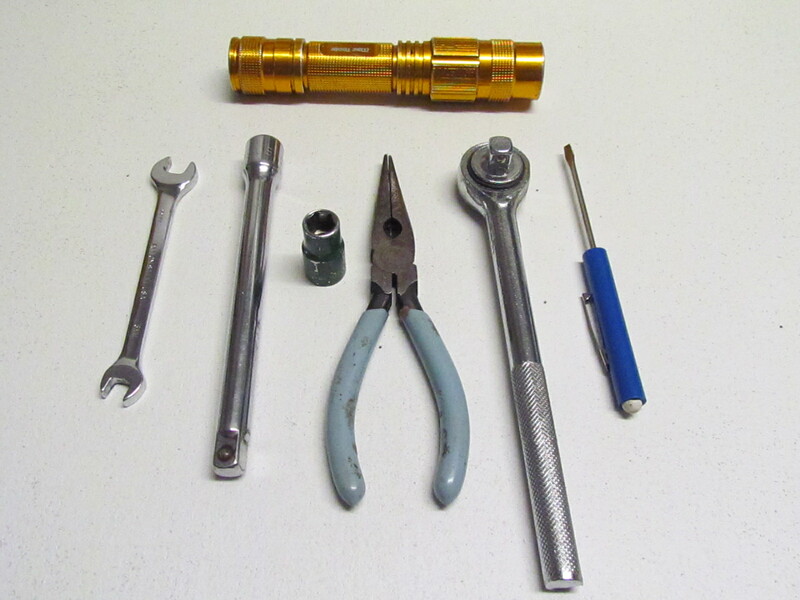 Pictures #5 is the instructions on hook up and picture #6 is of the only tools that were used for installing the HID headlights in 2012 Chevrolet truck. As I mentioned earlier the hardest part is actually getting to the back of the headlight housing where you unplug and pull the old light out so you can plug in the new HID light. 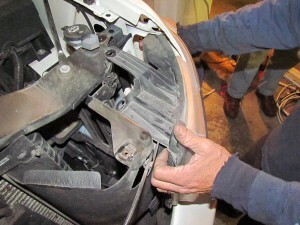 On this vehicle we decided it would just be easier to remove the front grill then to try and squeeze our hands in and behind the headlight housing. 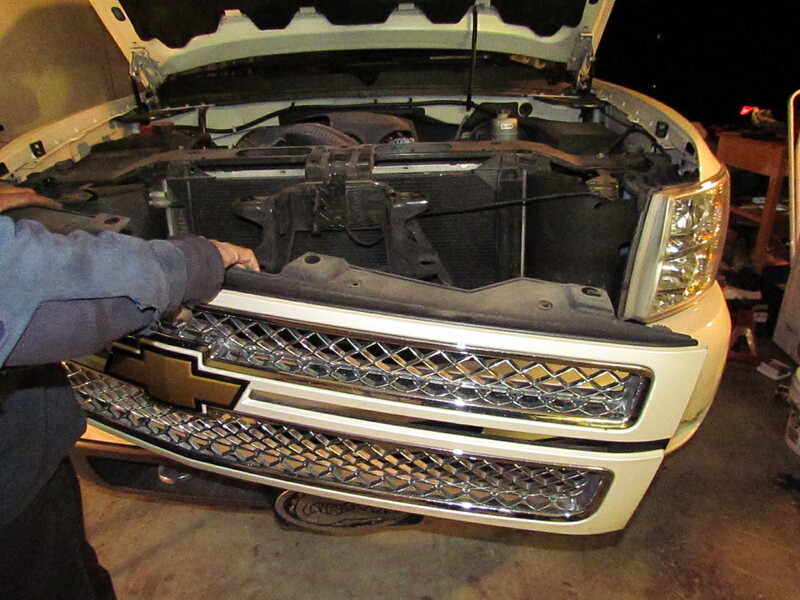 Grill removed and access to the headlight housing is greatly enhanced. 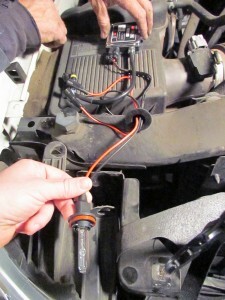 Hook everything up, secure the balast and turn on the lights. 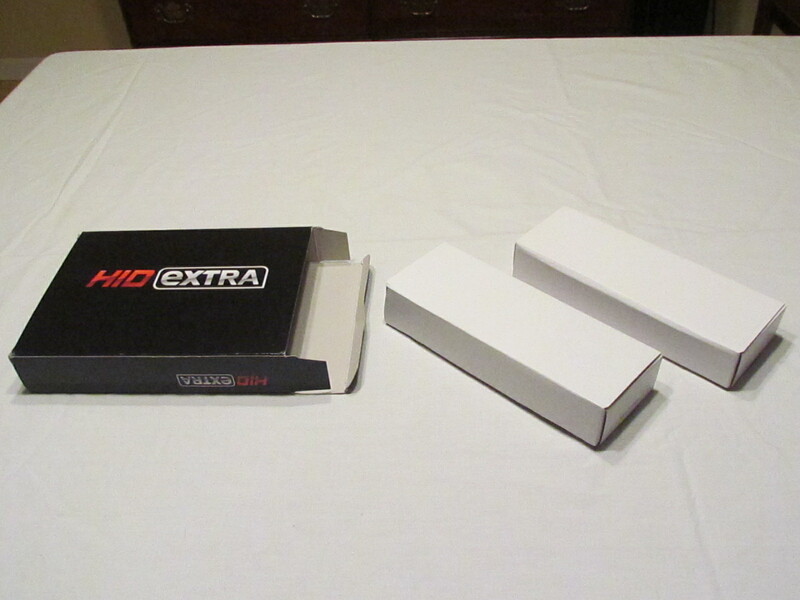 In the last picture we have replaced the one on the right side of the picture and not the other, BIG difference…BIG.